It’s true! I’m currently in ‘planning mode’ for Create & Thrive for 2015 (when I’m not making jewellery, that is), and I decided that the best way to help you next year was, well, to ask you what you’re struggling with! I know most of us loathe surveys and questionnaires, truly I do, but I promise that it’s short, easy, and will really help me help you in 2015. If you just tick boxes, it will take you less than 5 minutes. If you want to give me epic responses, that will take a bit longer (and would be awesome), but it’s not necessary. Anything you can tell me about your struggles, questions, successes, goals etc. 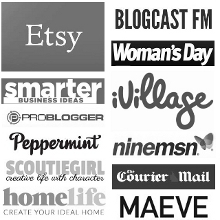 will really help me to make sure I’m sharing the right sort of helpful info to help you grow your handmade business. That’s what C&T is all about, after all. Oh, and it’s anonymous (unless you fancy telling me who you are) so you can be totally honest! Click here to be part of shaping Create & Thrive in 2015.